This weekend is the deadline for completing the applications to take part in Cambridge Open Studios. It's always a struggle selecting a single image that I hope will capture the attention of someone flicking through the yellow guide book. How do I stand out amongst the other 250 artists and entice someone to read further and then hopefully decide to visit my studio? The text also takes careful consideration, with only 150 characters permitted to convey concise information about my work. 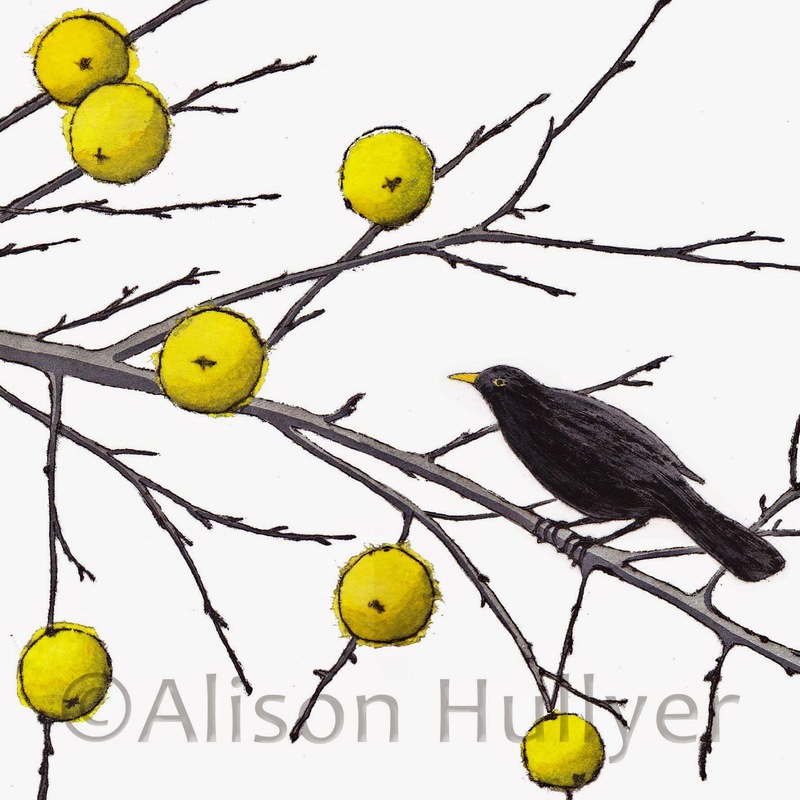 I have chosen this new drypoint print depicting a blackbird about to feast on the remaining golden apples seen in Milton Country Park. The apples use chine-collé (paper collage at the same time of printing). A square image is the optimum size for the guide, so I have cropped the image from the rectangular original. I hope it does the trick.